Although most people know their website needs SEO and how they’ll benefit from it, they don’t truly understand what these benefits are. Until you understand these benefits you may feel like doing just a little of something is better than nothing. Organic search plays a major role in converting users into buyers. While all search engines will contribute to your brand’s visibility, Google owns 75% of the search market and is the clear leader whose guidelines you must follow. This means that most people in the world are visiting Google at least once a day to get the information they need. As such, being highly visible here will work to your brand’s favor. When it comes to the SEO world if you’re not on the fist page, you’re not doing well in the organic search game. This is because 40% of all click-throughs are received by the first three listings in the organic SERPs. Studies confirm this as well as the fact that 30% of all other search results on the first two pages don’t receive any clicks at all. Clearly, your business needs to be on the first page. Although most businesses realize they need better organic rankings to receive maximum visibility very few of them realize that offering users an optimal experience plays a big role in getting there. However, now that Google can interpret a favorable or unfavorable user experience, providing a positive user experience is a pivotal element to your website’s success. With good business SEO you can learn to do this. It only takes a year for your business SEO to have an impact that will last forever. Of course, you’ll need to keep up with SEO trends, but even basic practices employed on a website that offers a good user experience will serve you well. The more time, effort and money you commit to SEO the more trust and credibility your website will create. Business SEO takes time and you won’t see the results overnight. Just like with real life, you build authority over time. As such, you’ll need a lot of patience, effort, and commitment. You’ll also need to offer a valuable, quality product or service so customers will trust your brand. Local search is a fundamental part of your business’ success now that mobile traffic has become so dominant. Here you’re optimizing your brand’s website and content for a specific vicinity (e.g. a specific town, city, region, state) so people can quickly and easily find you. Sure, business SEO costs money but so does every other type of marketing too. With this type of marketing you won’t pay much for the great benefits you’ll reap for years to come. As such, you can look at this as an investment in your business’ future. Implementing a strong, solid SEO campaign is beneficial in many ways. However, as a business owner it’s understandable why you don’t have the time to reap all these great benefits. This doesn’t mean that you can overlook it though. 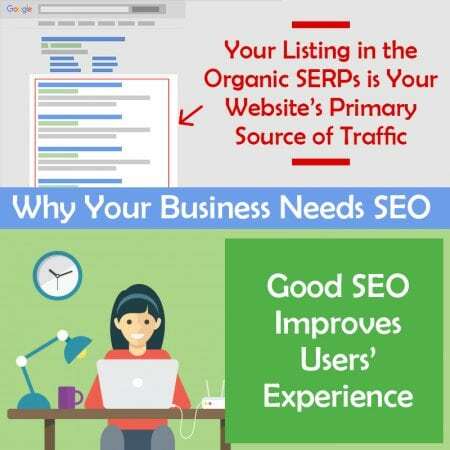 Instead, it means that you need to call on us at Local SEO Tampa Company to help you get your next campaign up and running. With all the years of experience we have in this industry, we can help you increase and grow your business.